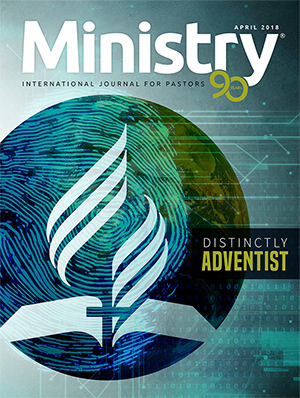 I have just read the August 2017 issue of Ministry, and in particular the article by Jason Morgan entitled “Adventist Evangelism: Alive and Well.” The article raised several concerns for me. It appears that in only 21 days, Jason Morgan was able to “utterly disprove the experts” regarding evangelism in England. One would assume that the “experts” must be English pastors who have spent all their lives in evangelistic ministry in the country. In evangelistic outreach, context is vitally important; and Jason Morgan gives none. We can only hope and pray that this fantastic experience can be replicated all over England, among every segment of society. My second concern relates to Jason Morgan’s broken heart regarding the suggestion at a board meeting that we preach “Jesus Only.” Is He not the only thing we have to preach?Do not all the teachings of Holy Scripture center in Him and Him alone? Is He not the only one who forgives sin and redeems? Is He not the only one that we await to come in the clouds of heaven? Is He not the be-all and end-all of everything we proclaim? May I suggest that if we preach Daniel and Revelation without Jesus as the central focus, then we will become no more than a cult. Revelation is a revelation of Jesus Christ.Our task is not to proclaim the teachings of the Seventh-day Adventist Church and our “unique perspective” on end time events—that would make us a cult—but to expound the inspired word of Scripture and to uplift Jesus higher and higher in everything. Is it Jesus only? Yes, it is! My heart leaps at the thought of Jesus only—and may it ever be.